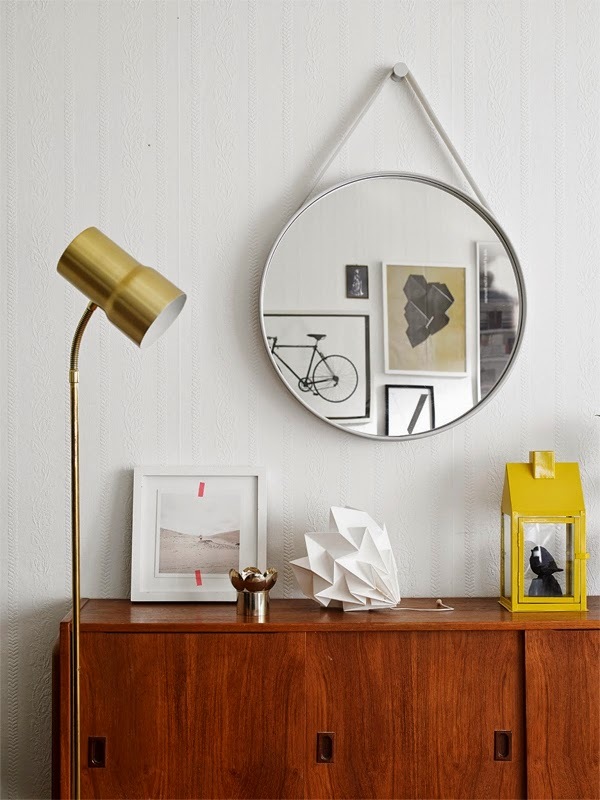 This is an lovely example of blending mid century modern Scandinavian design with contemporary pieces at home. 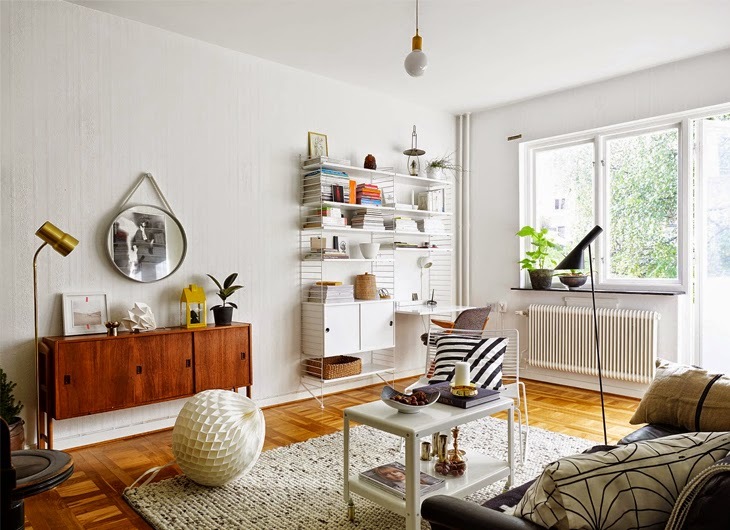 My favorite place here is the living room with the teak sideboard and white colored String shelf. 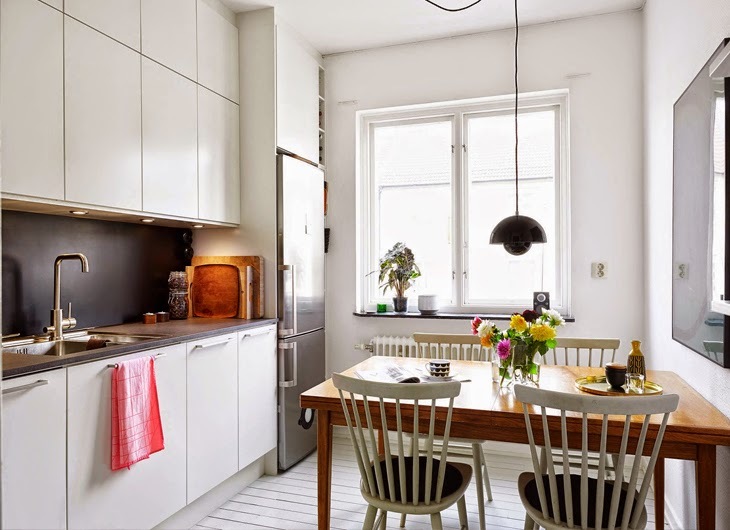 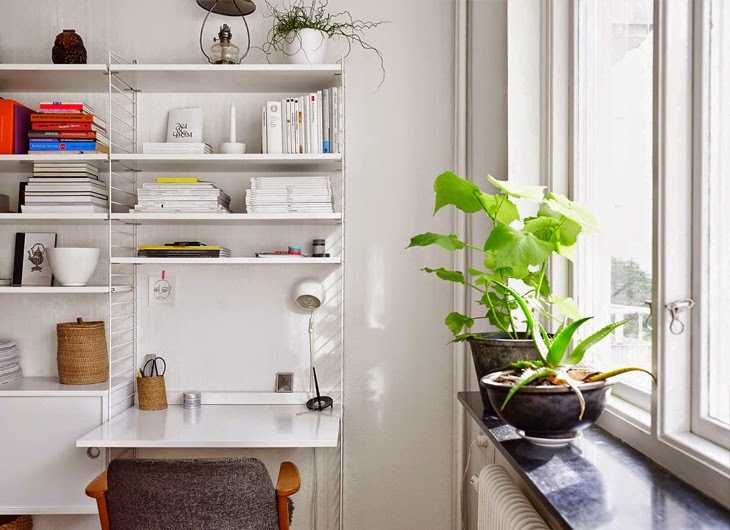 This is that kind of a small ordinary apartment where the skilfully chosen decor and furniture made it something unique and instantly lovable.